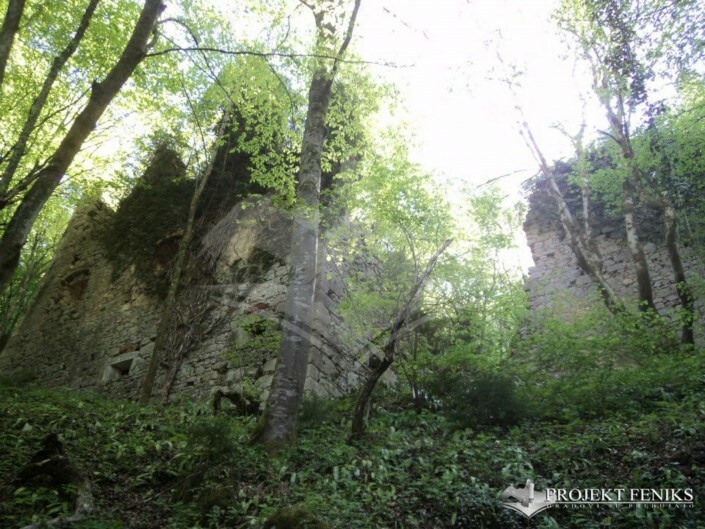 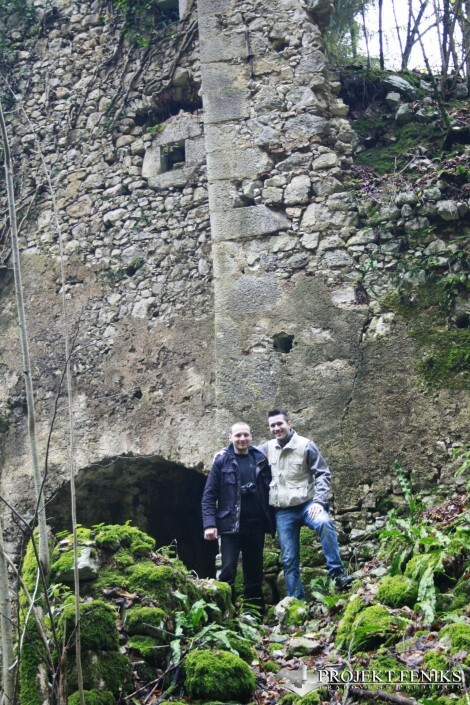 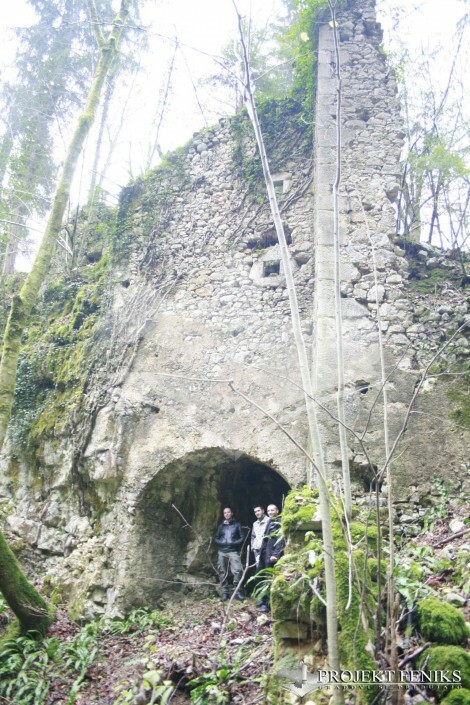 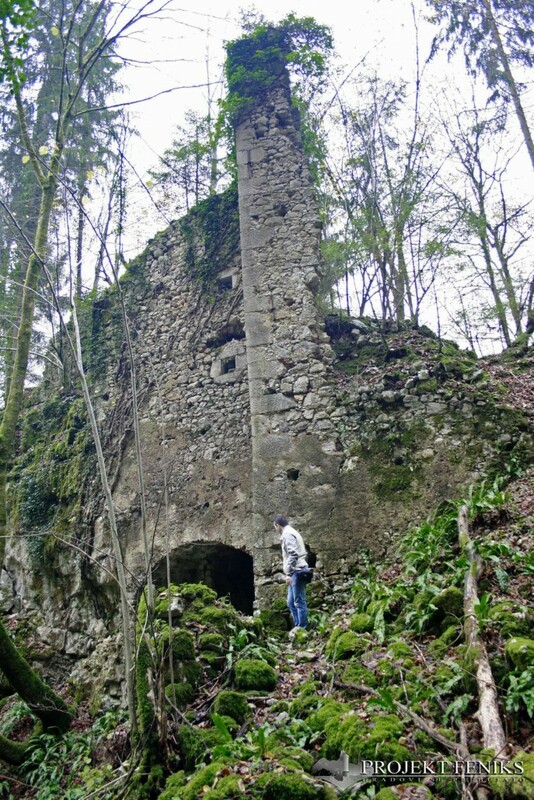 Just a couple of meters of Prečna and Straža, near Novo Mesto city, built by the Luegg family in a hidden place in the middle of a collapse doline, surrounded by Lukenjska mountain and almost in front of Lukenjska cave from were Temenica river emerges we find the imposing Luknja castle. 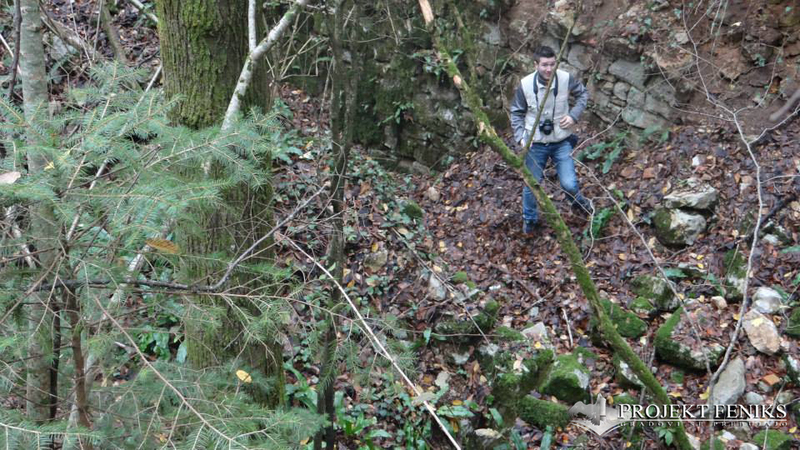 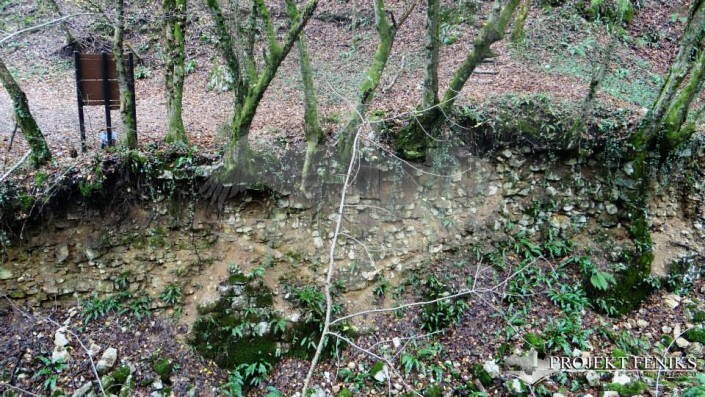 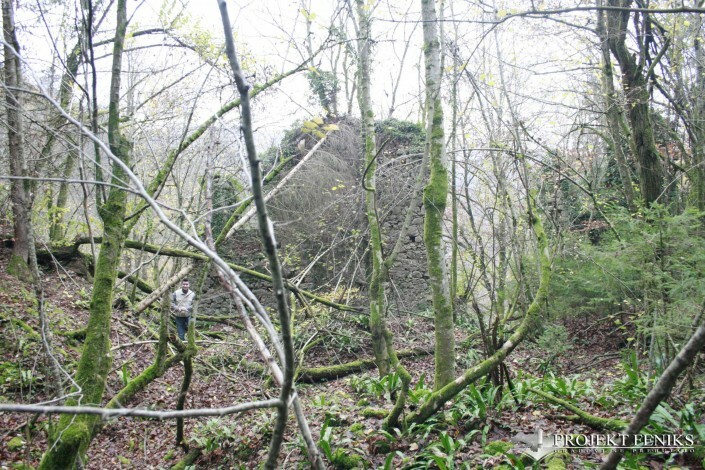 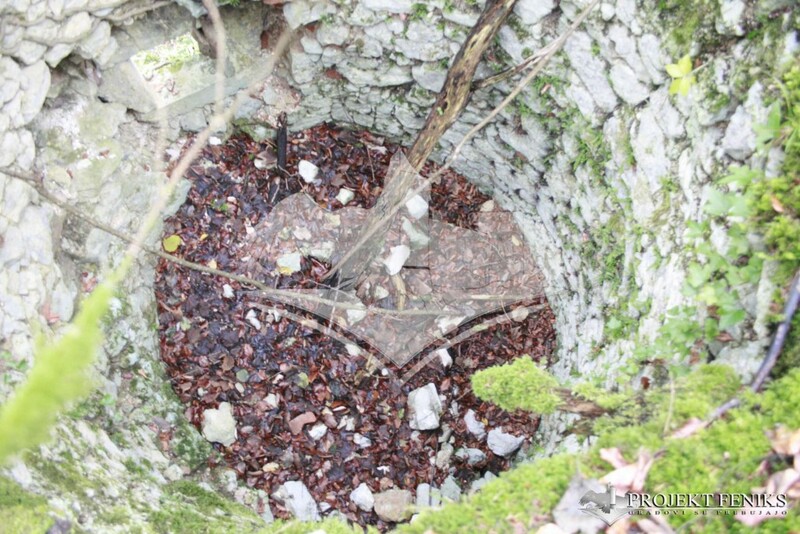 The first impression is that the whole doline is a magical place, on which prehistoric rituals had been done. 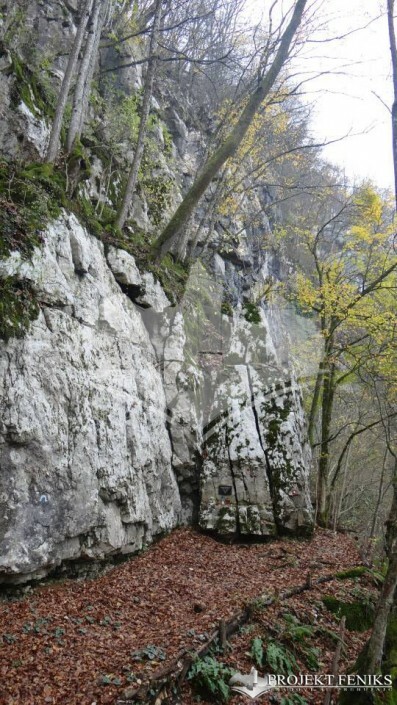 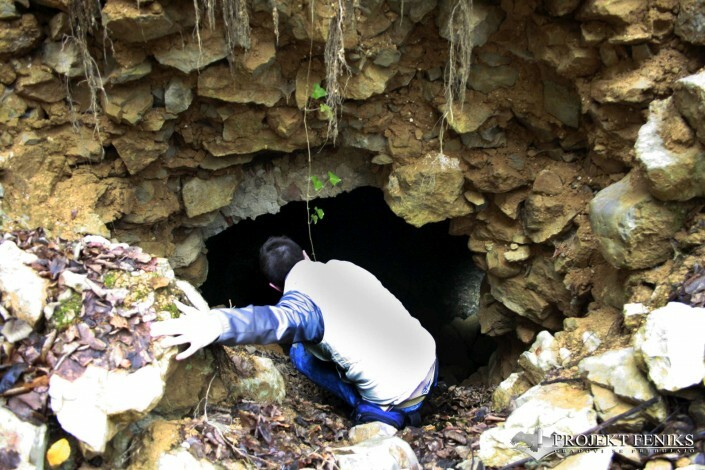 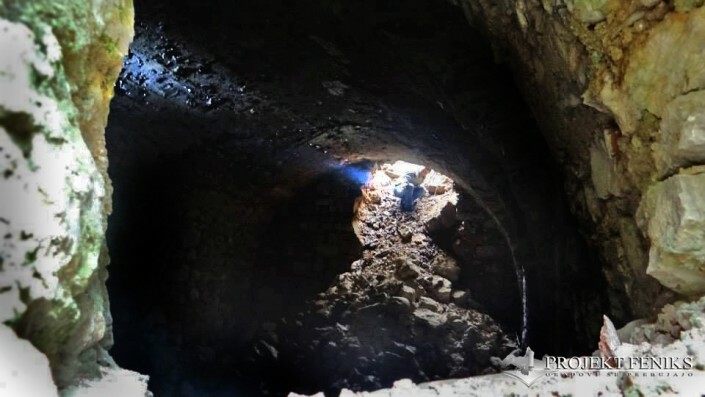 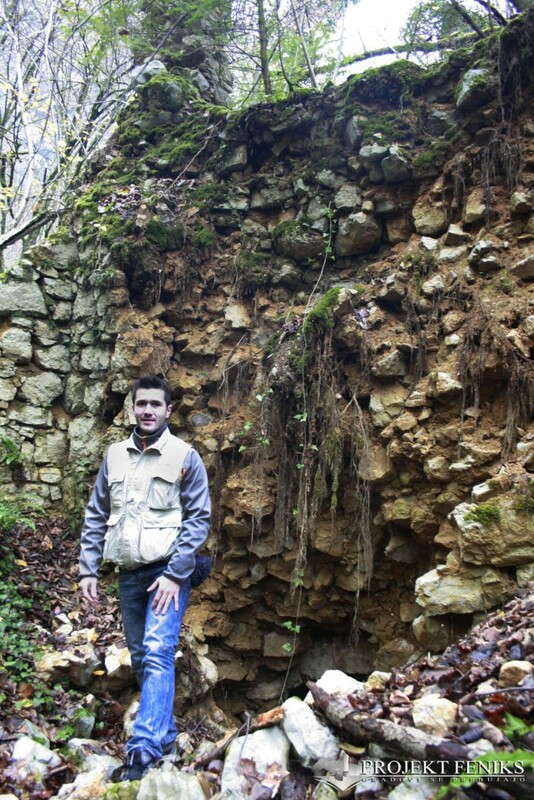 In fact, many artefacts, tools and archaeological findings had been found in Lukenjska cave and also inside the holes in the doline's walls. 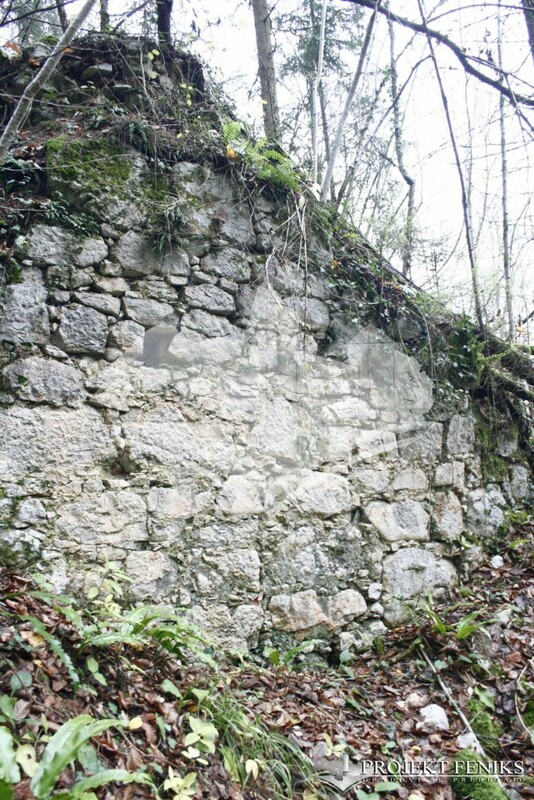 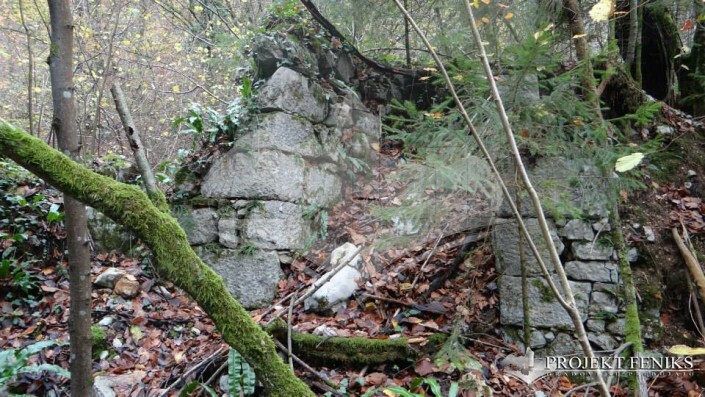 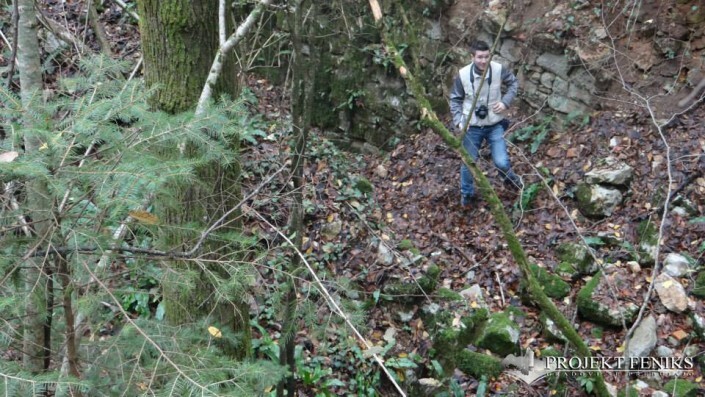 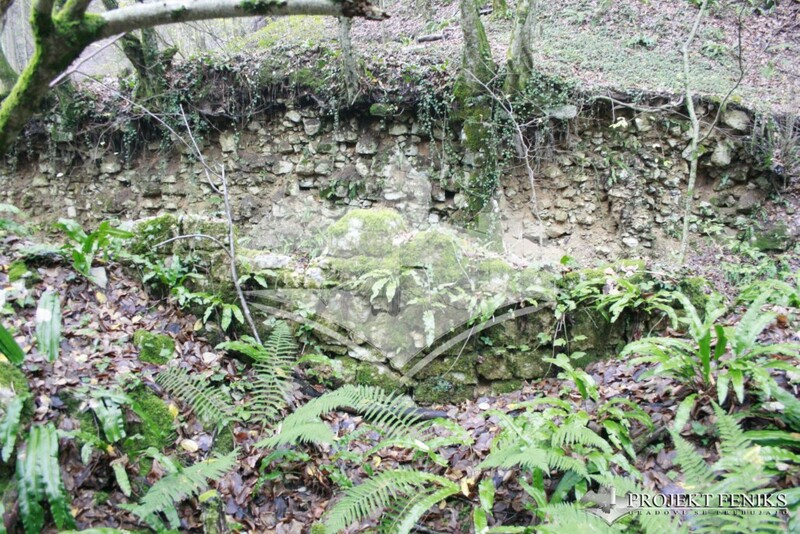 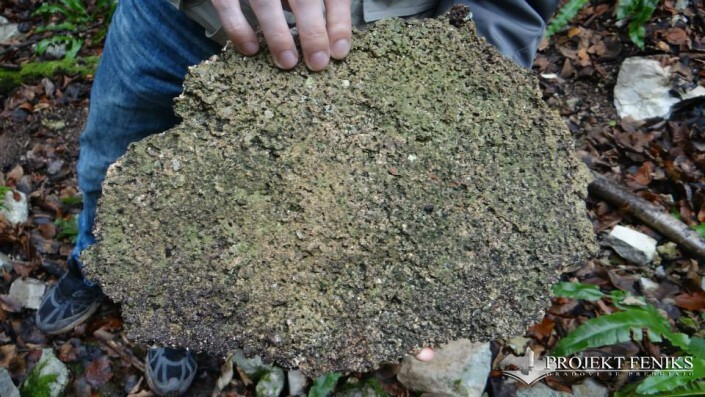 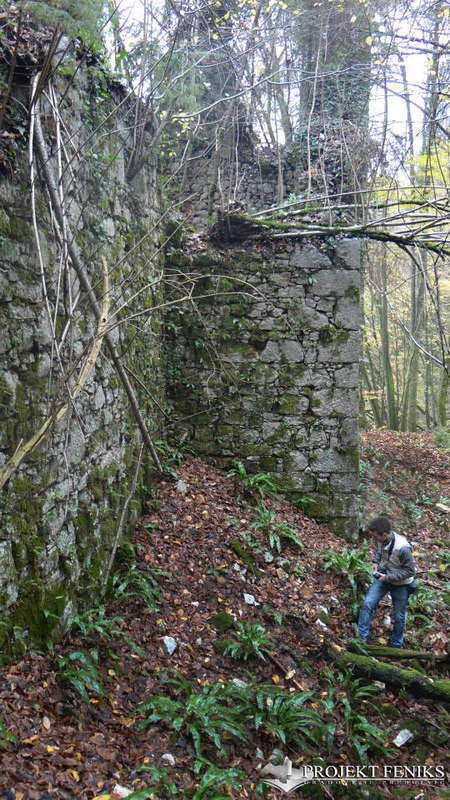 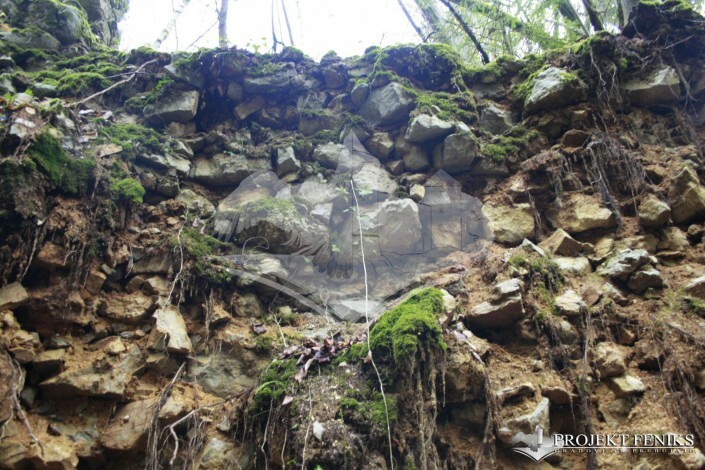 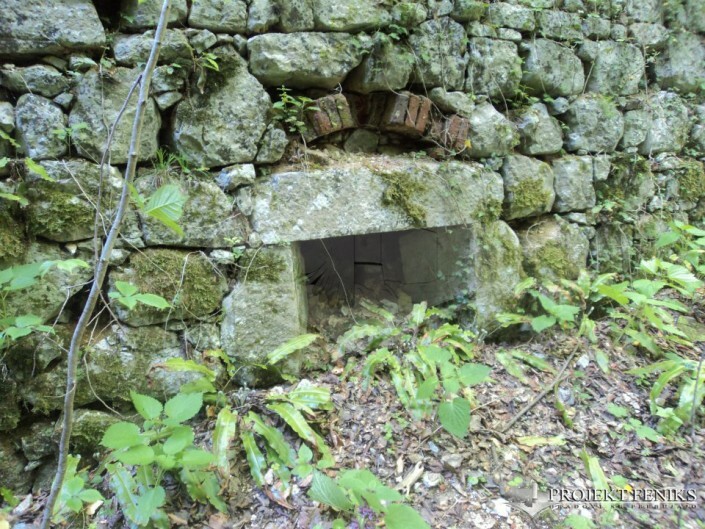 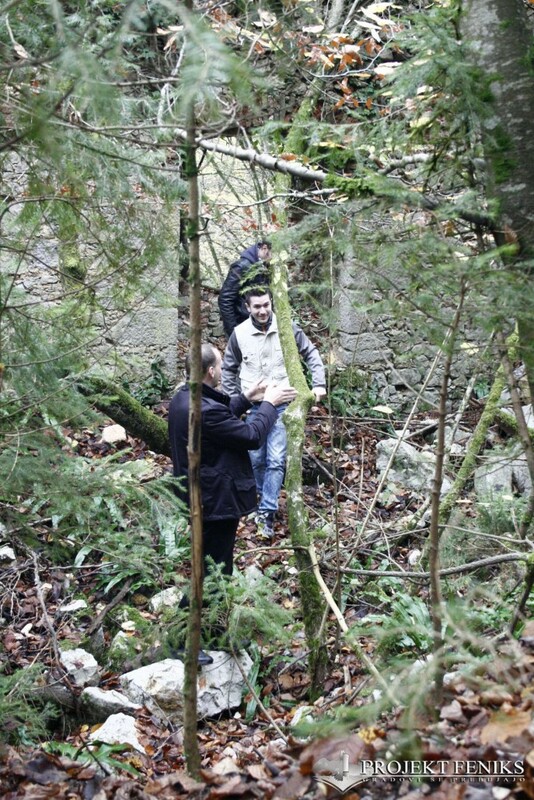 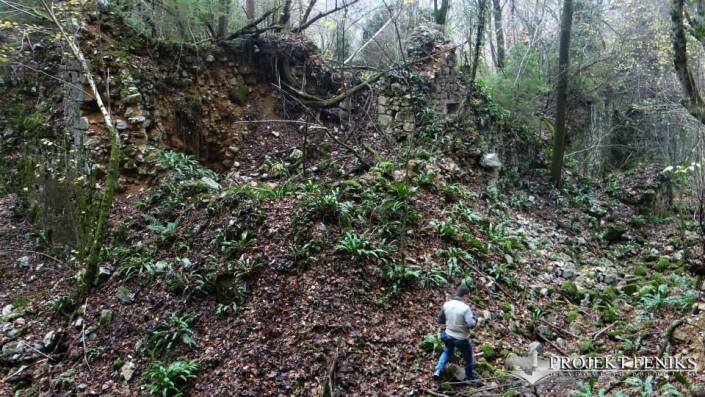 Near the area there is a "gradišče" (primitive fortress from iron and bronze ages), in the same places Roman objects have been found so it is very probable that it could have existed a small Roman fortress on the same platform where Luknja was built. 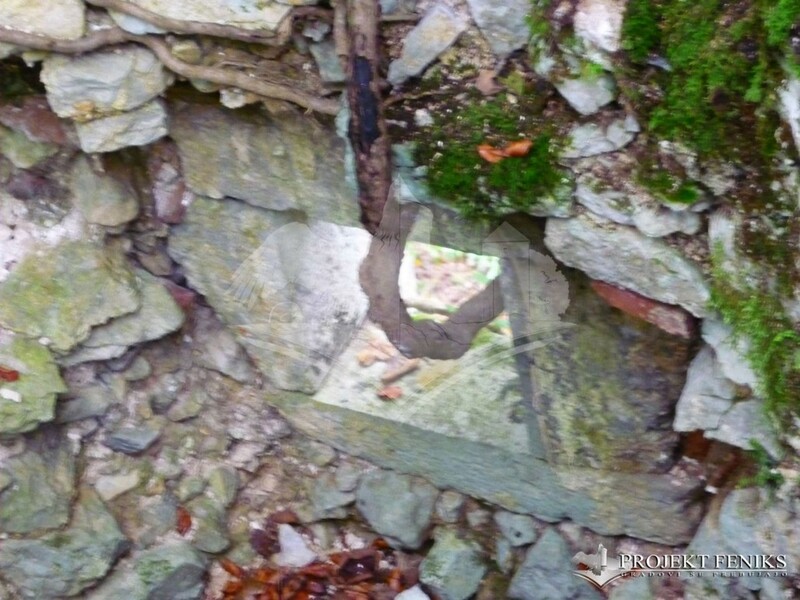 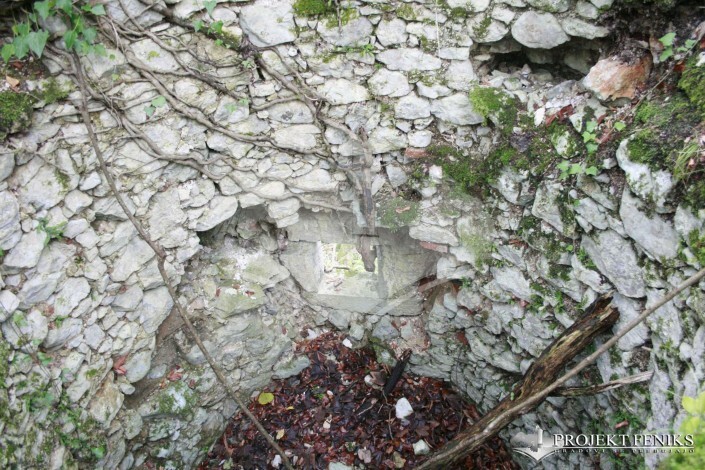 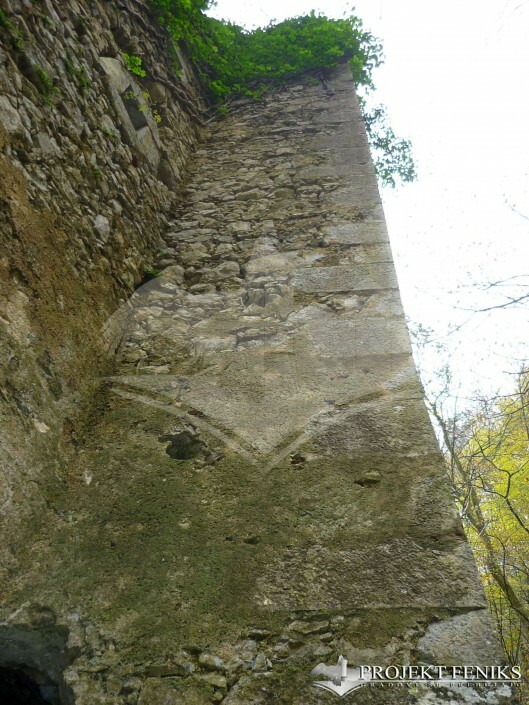 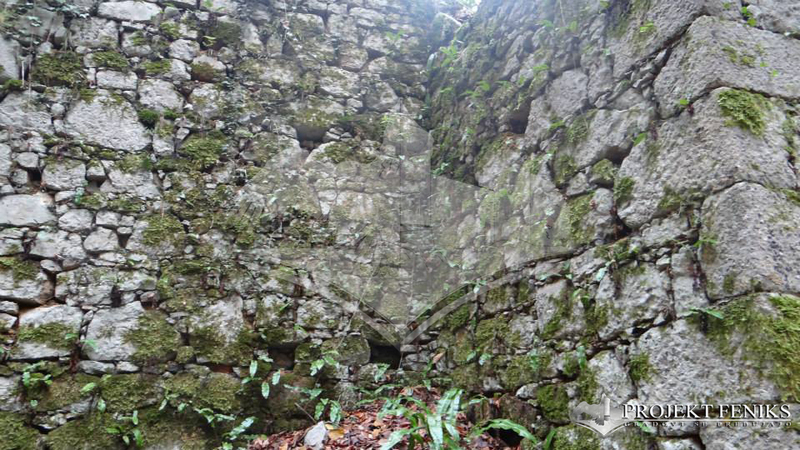 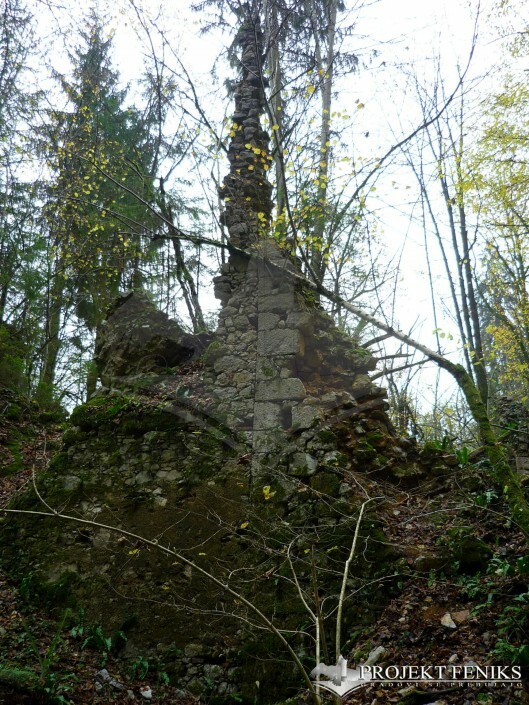 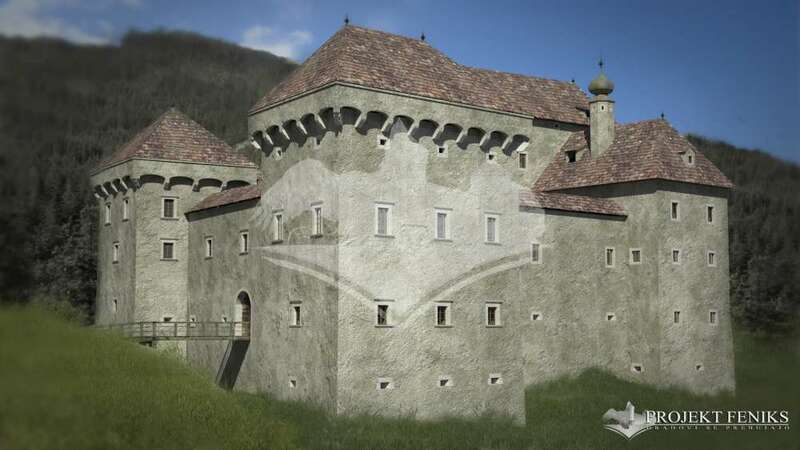 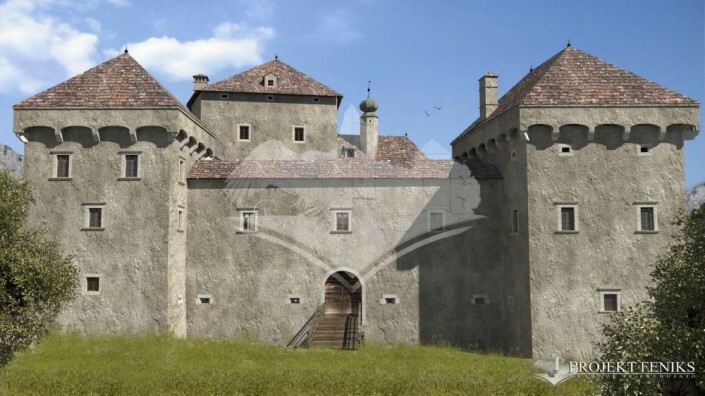 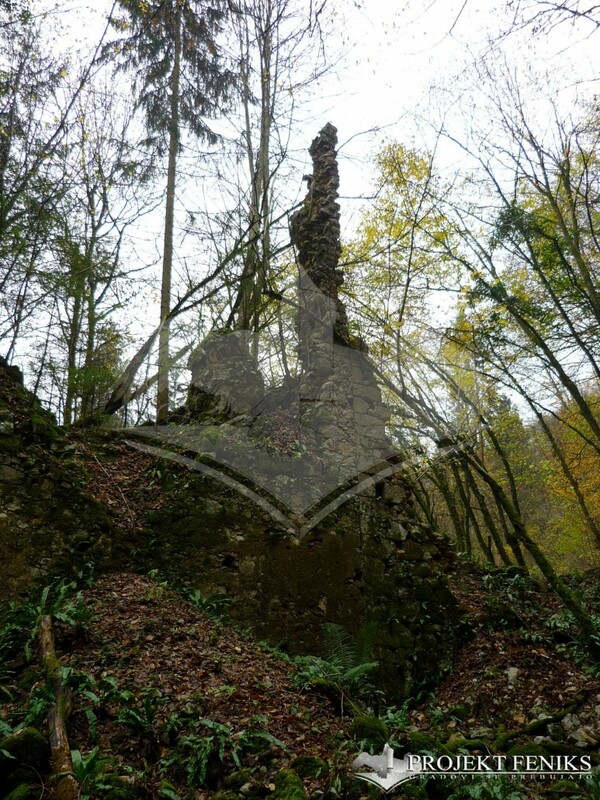 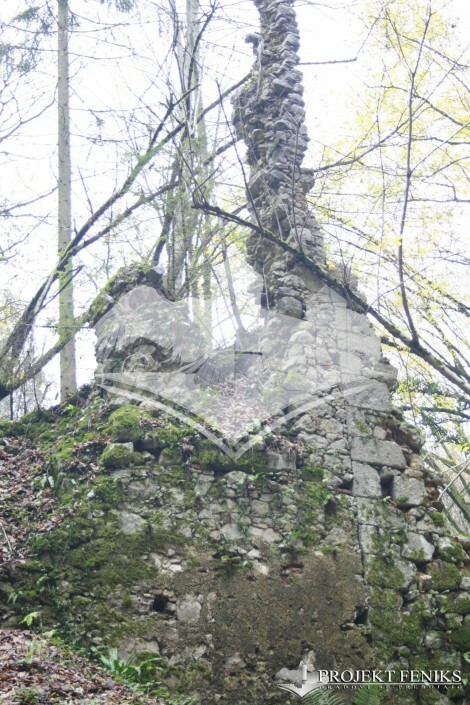 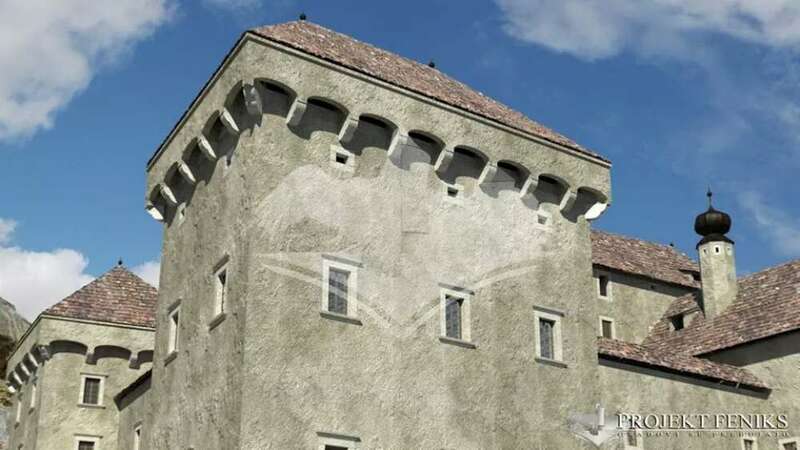 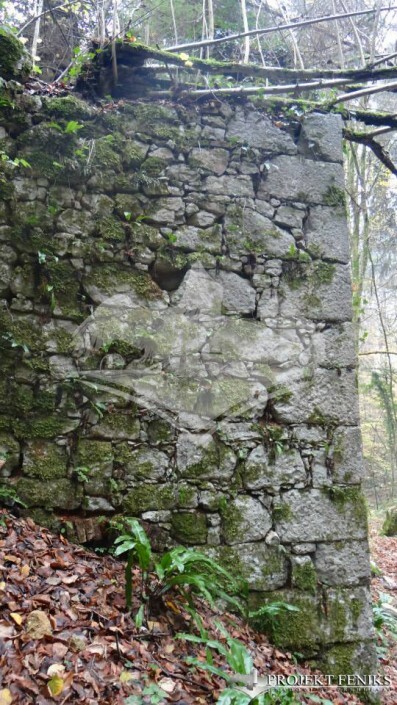 Luegg castle or "Luknja" has a similar strategical position as its twin Jama or "Predjama", it seems that the Luegger family followed the exactly the same lines when constructing such unreachable structures. 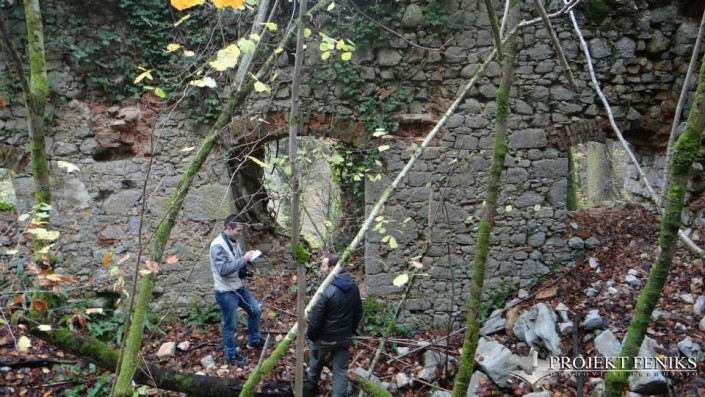 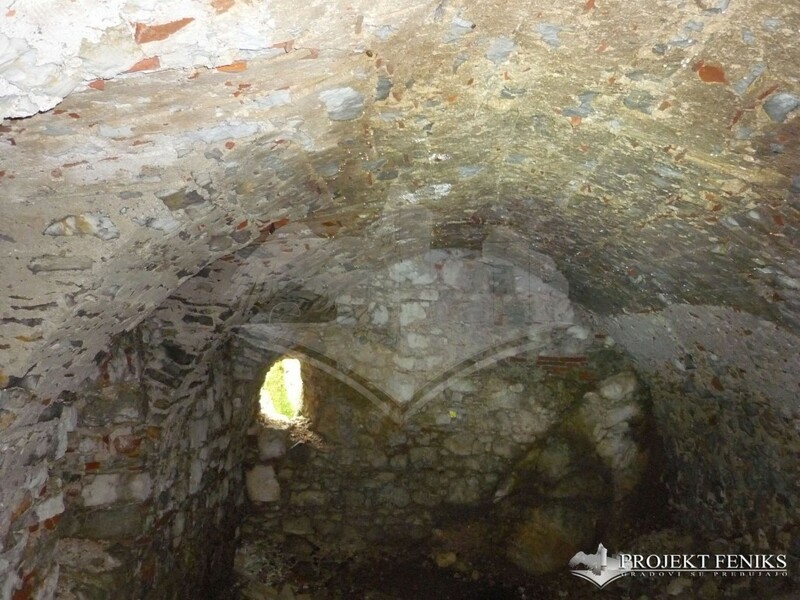 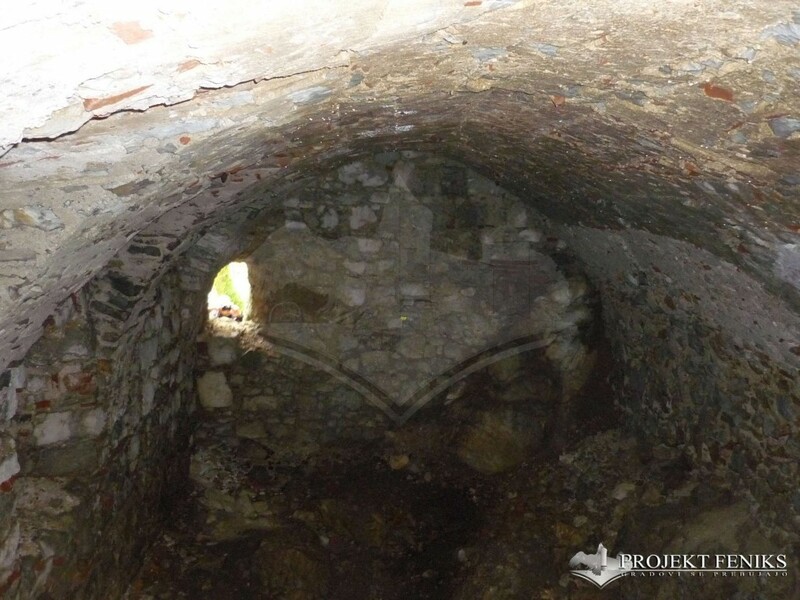 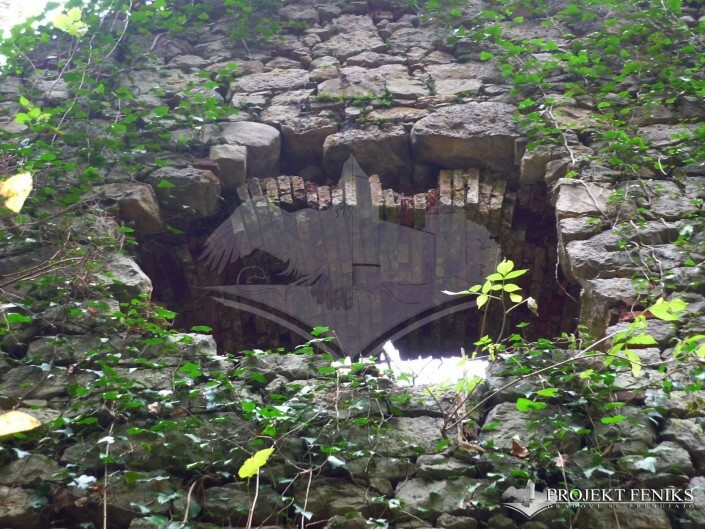 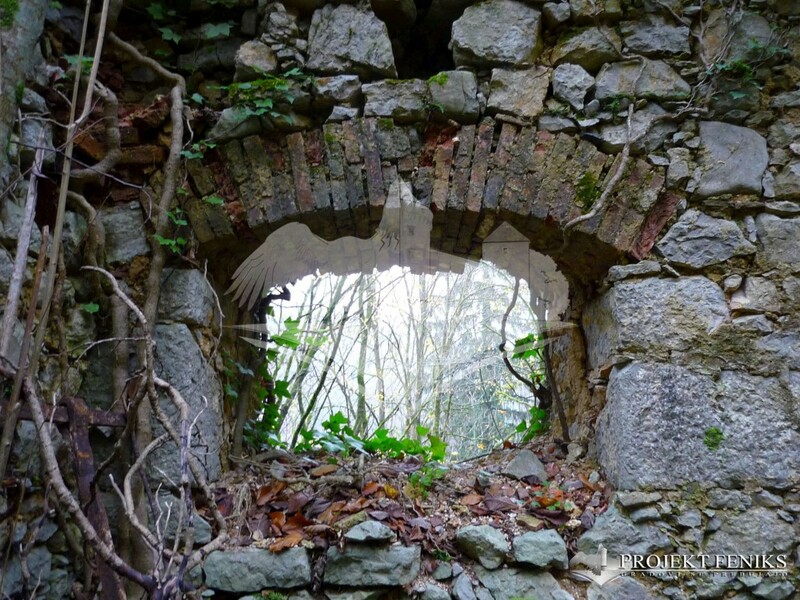 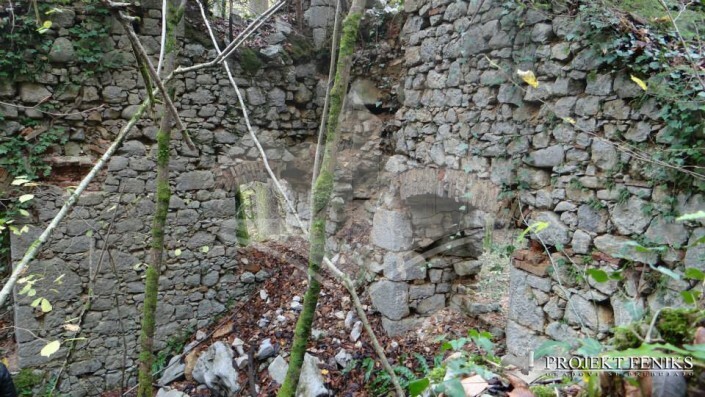 Unluckily after being abandoned at the beginning of the 20th century and because of the high taxes on covered surface that his owner couldn't afford Luknja began to lose its roofs and when a castle looses its roof its doomed. In this particular case is really impressive how fast it has collapsed. 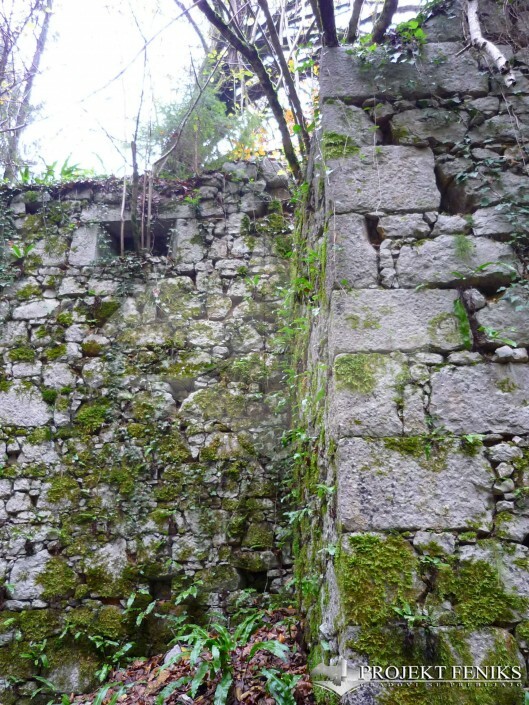 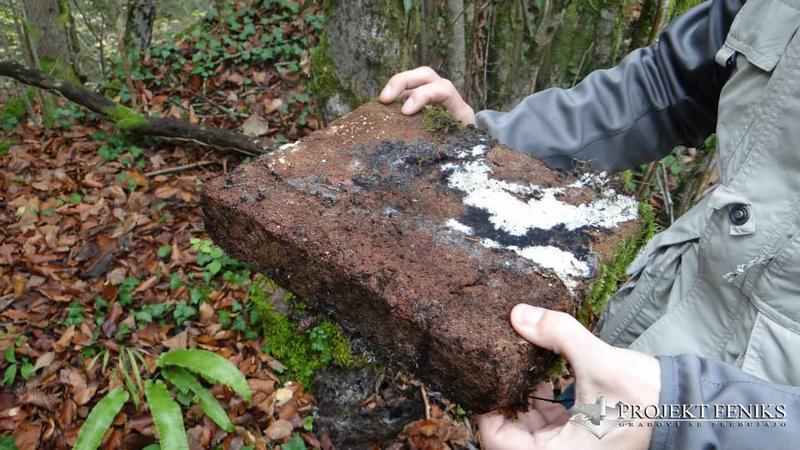 The castle it was really well protected from the rough weather but we could assume that two factors influenced and accelerated its degradation: the first one is the humidity from Temenica river, the mortar absorbed by capillarity this humidity and began to loose its properties. 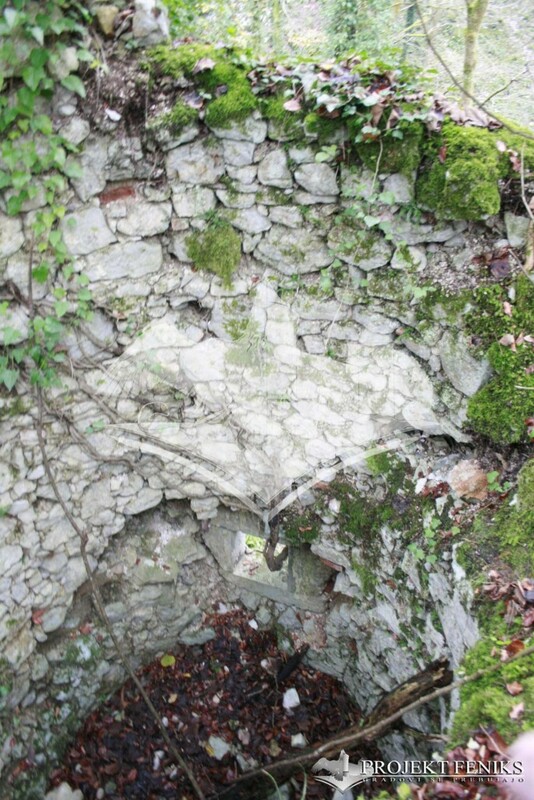 The second is the collapse doline that surrounds the castle, when winter time snow is well conserved inside the doline and because of the bad orientation the sun cannot melt the snow. 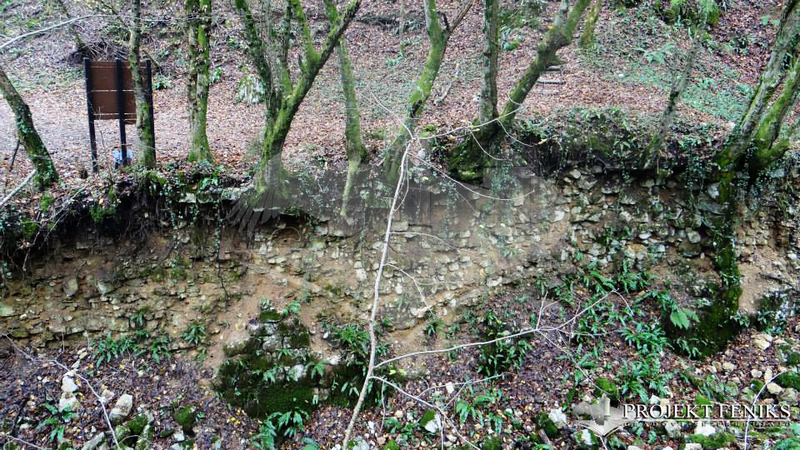 At day temperatures rise and the malta absorbed water, at night the temperatures drop and became ice, expanding and breaking the mortar. 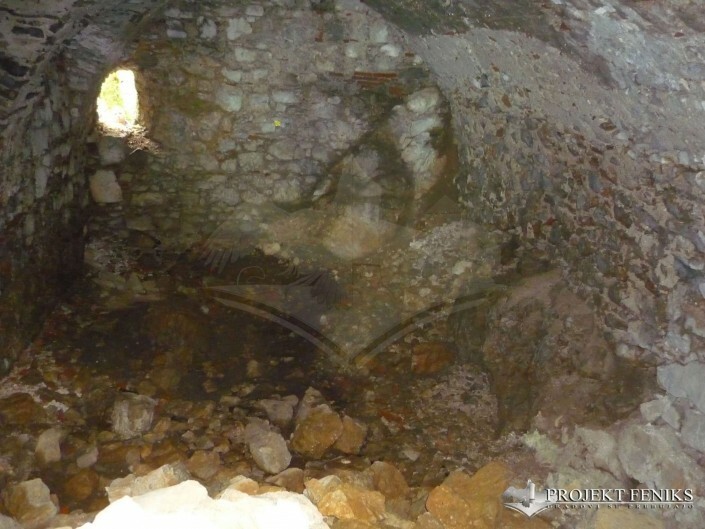 It only remains a 30% of what Luknja was. 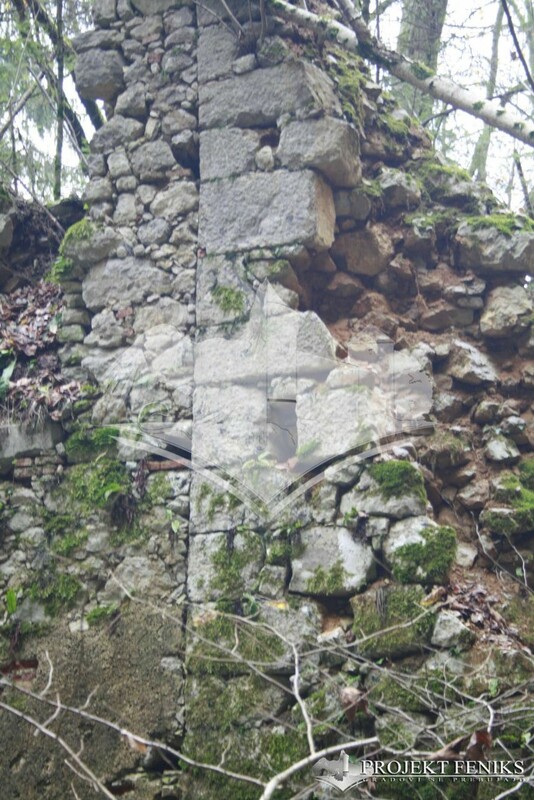 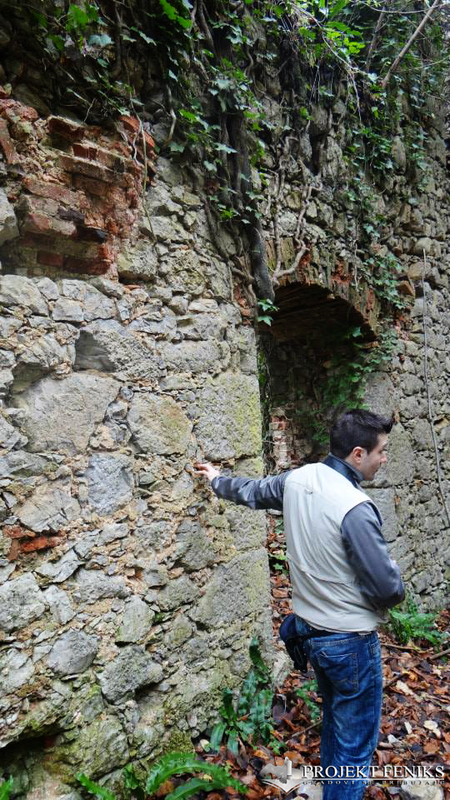 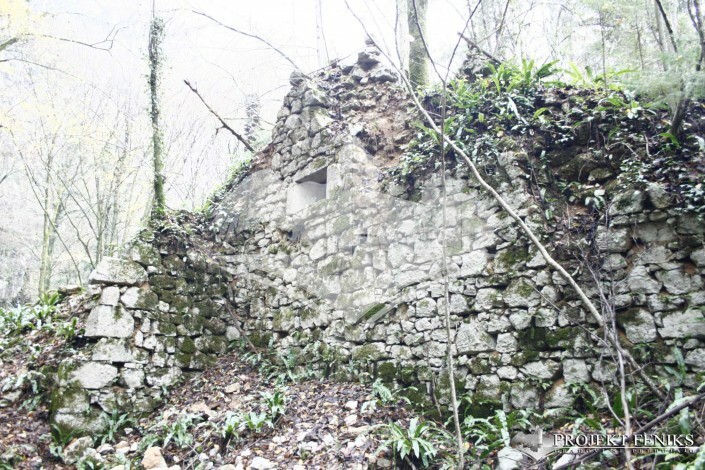 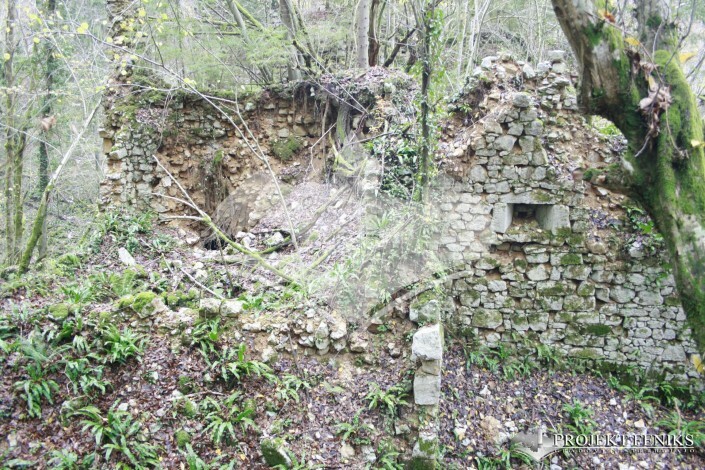 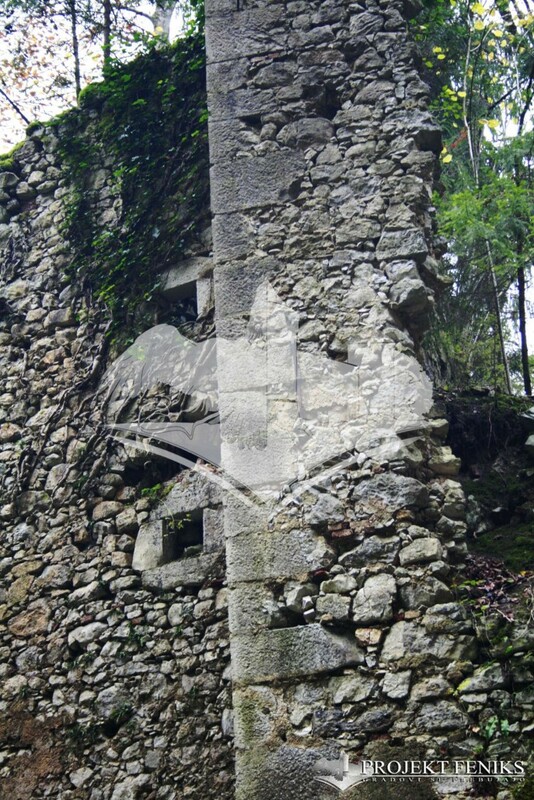 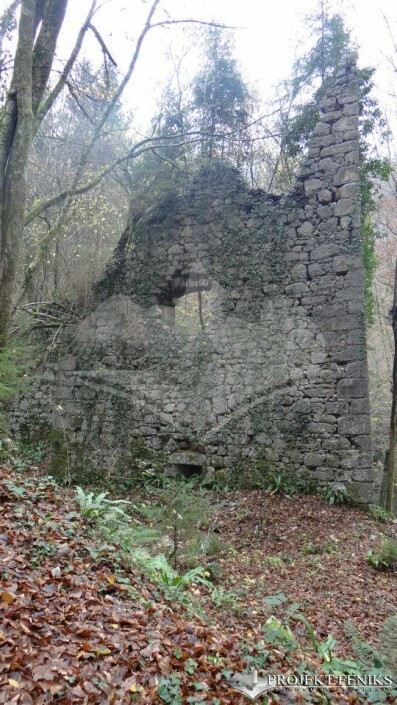 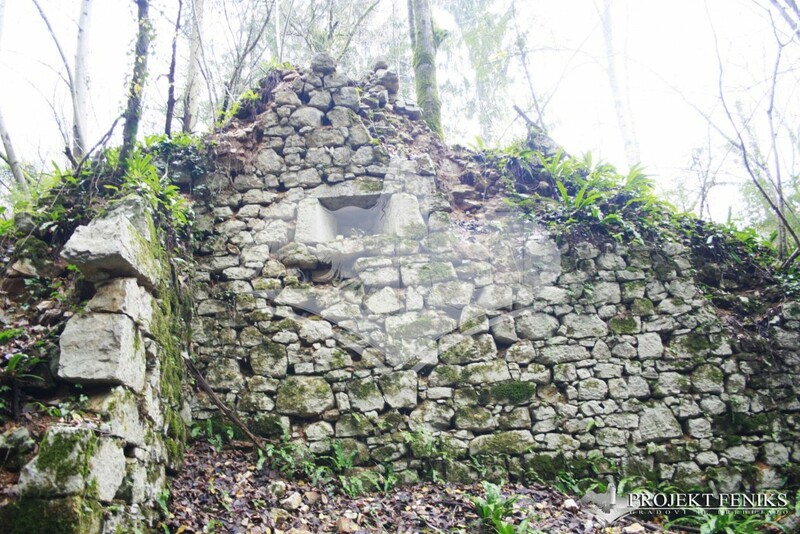 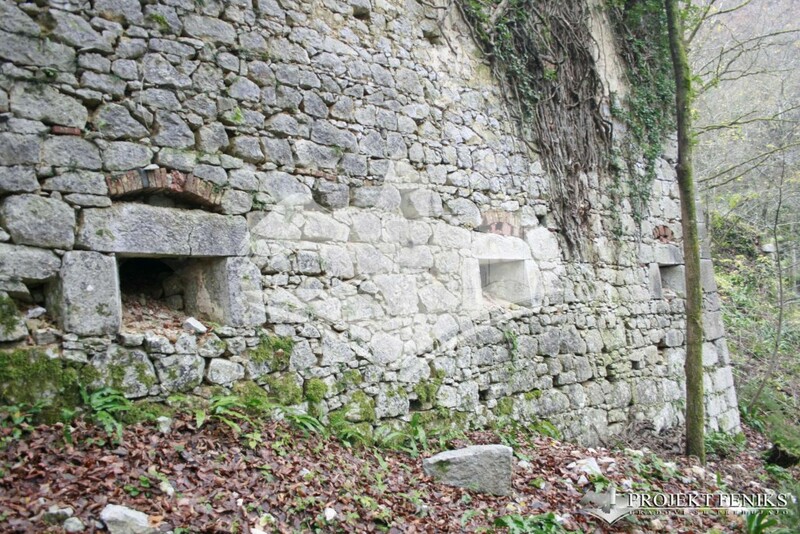 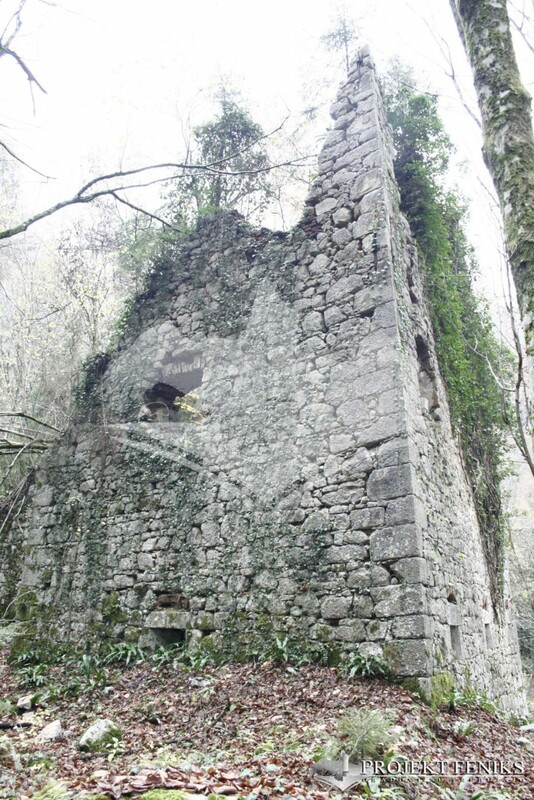 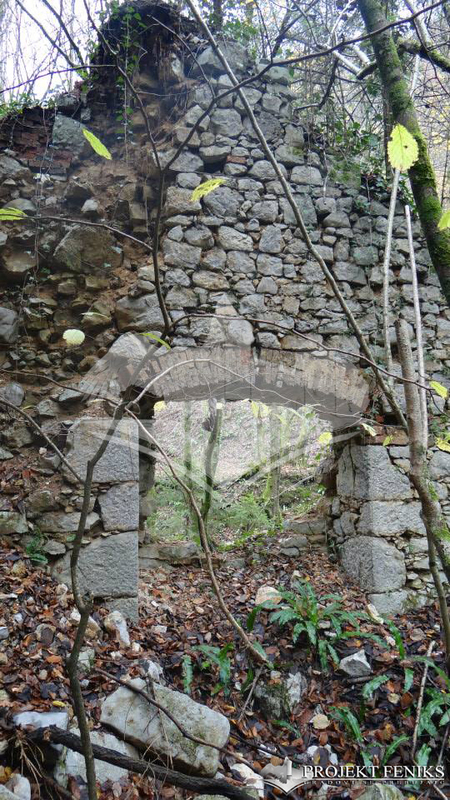 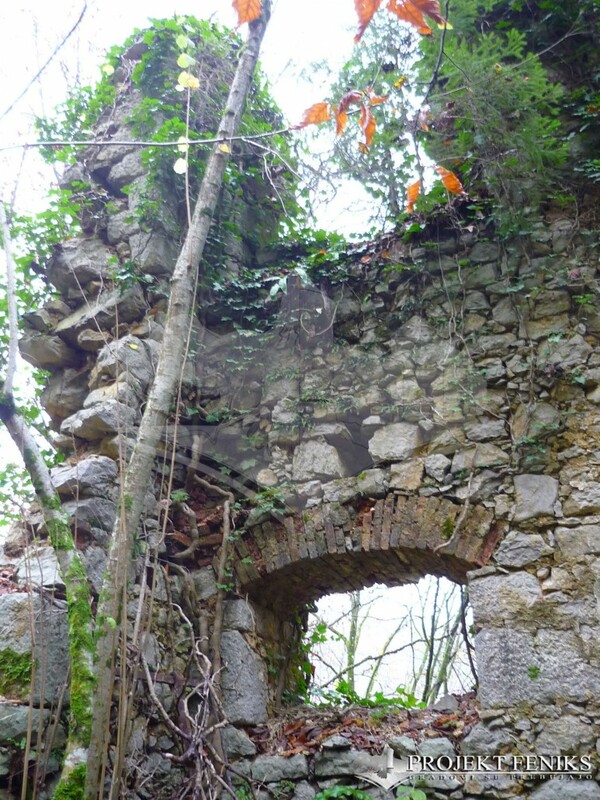 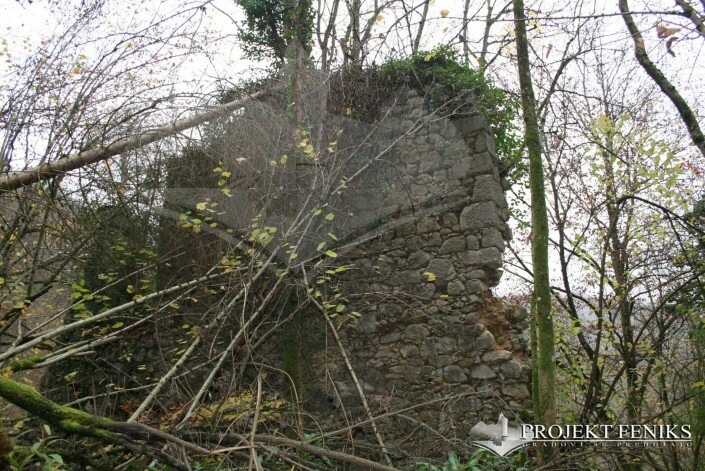 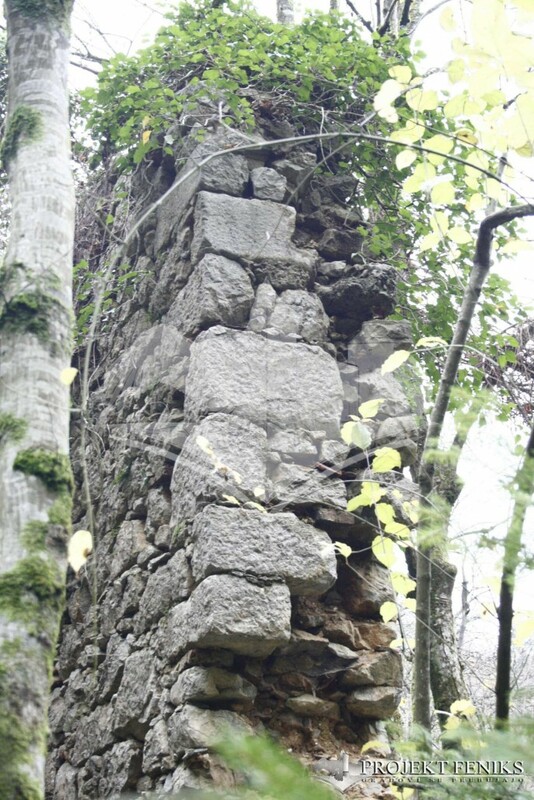 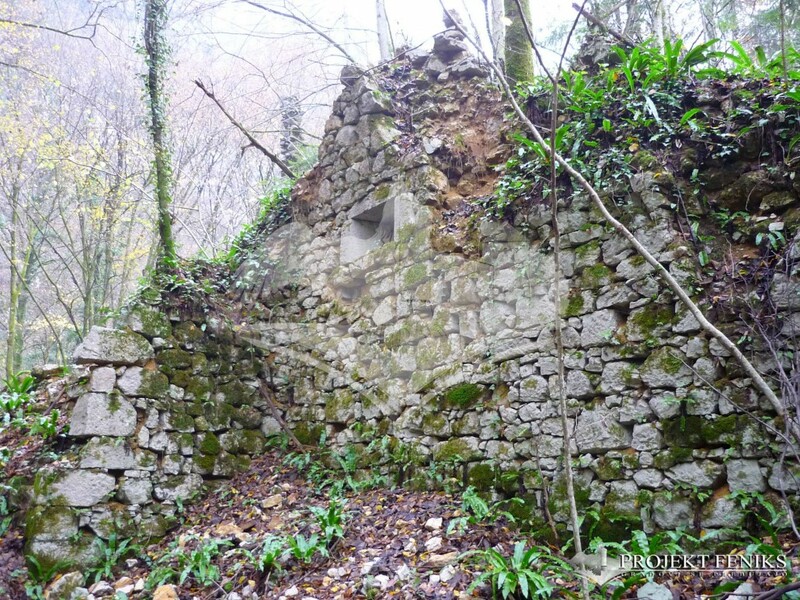 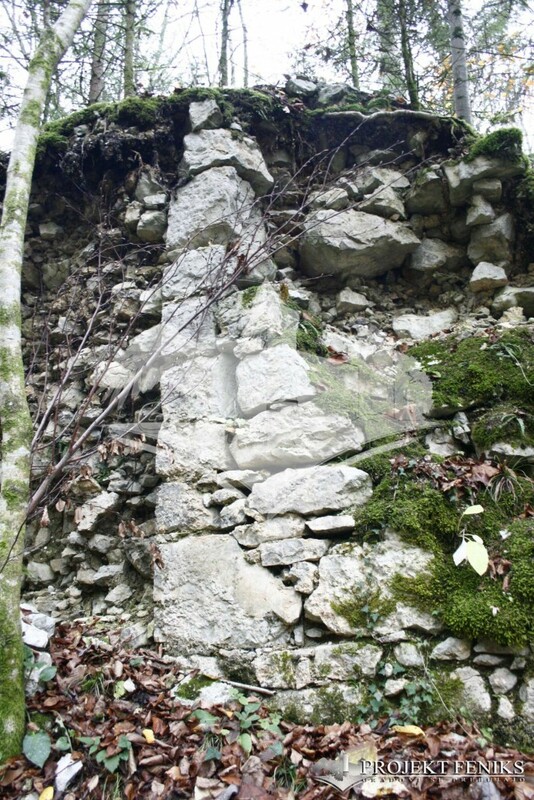 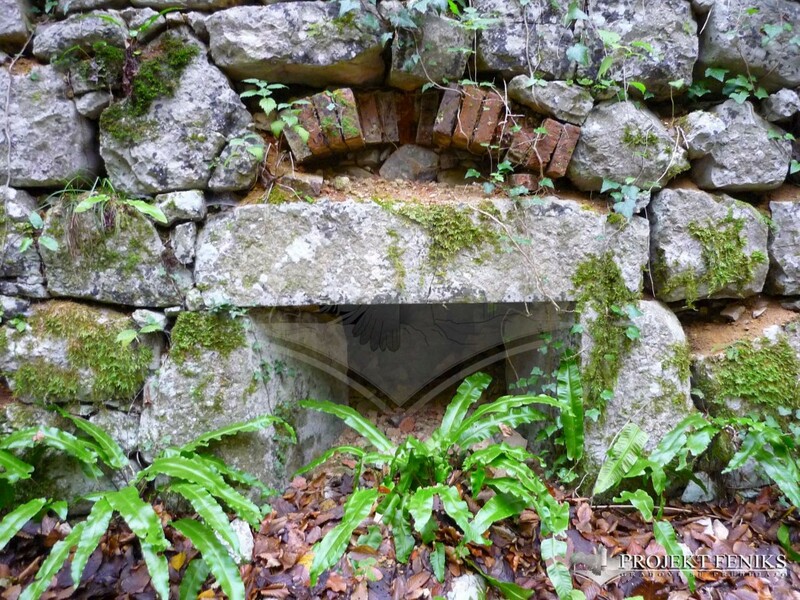 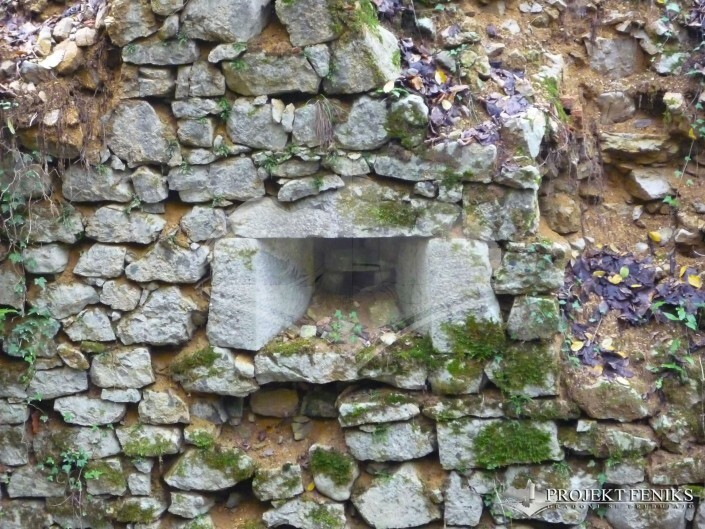 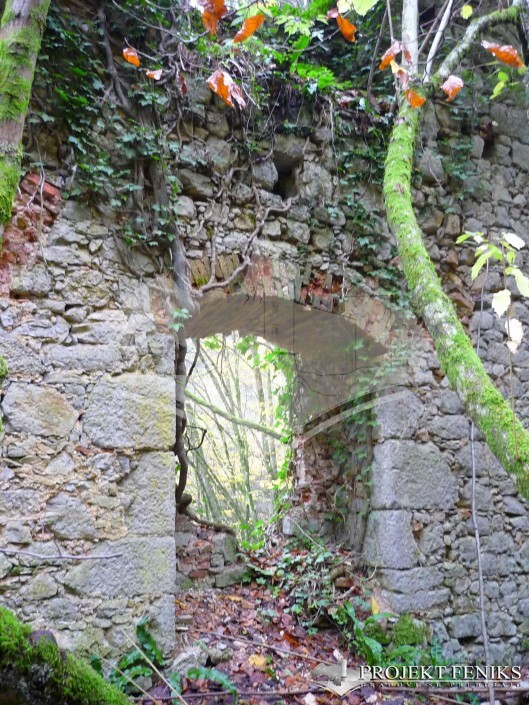 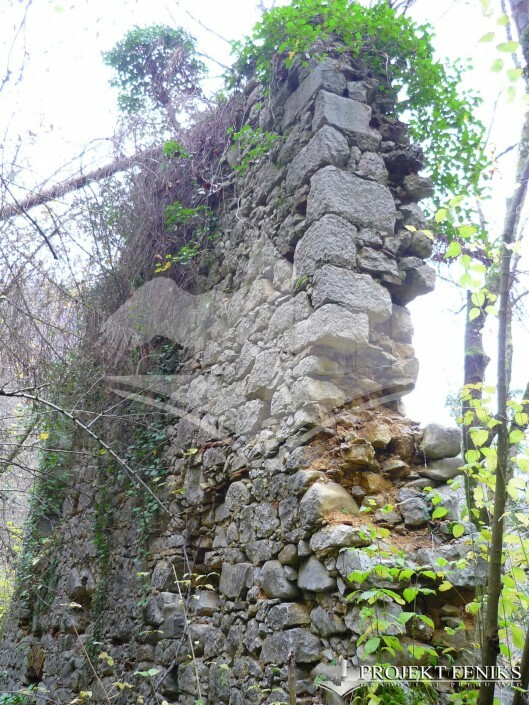 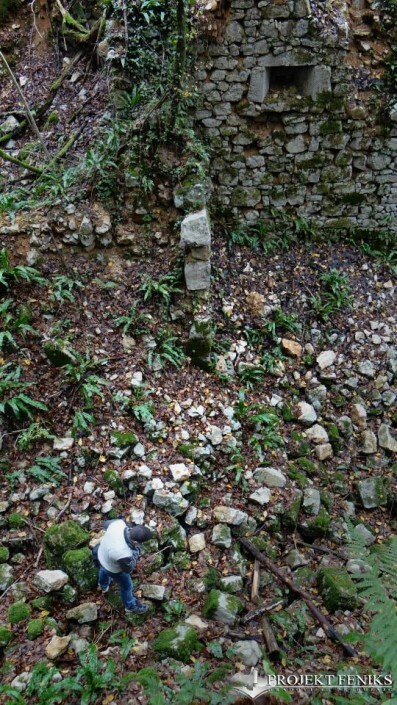 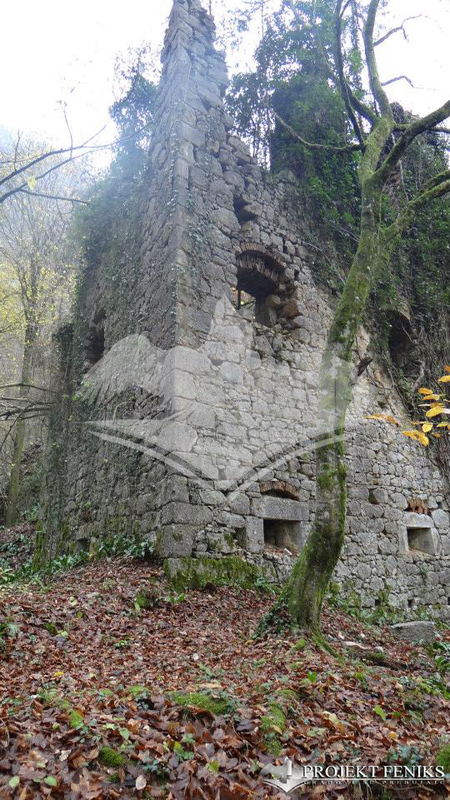 Its medieval core it is unrecoverable, its chapel, the loggias and everything has been lost during the last century. It only remains some parts of the curtain walls and part of the entrance towers (these parts were conserved because they partially lay on the same site, dirt helped this walls from collapse). Luknja's last walls could still be reinforced, restorated and recovered in order to show and teach people about their glorious past.